OUR ARTESTEEM ARTMOBILE IS AVAILABLE FOR BOOKING! — Attitudinal Healing Connection, Inc.
OUR ARTESTEEM ARTMOBILE IS AVAILABLE FOR BOOKING! 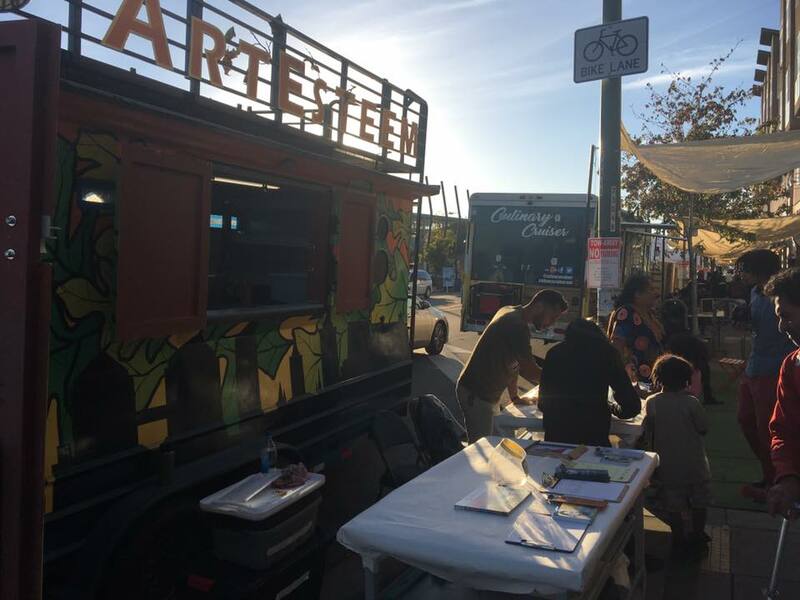 Since its official release, our ArtEsteem Artmobile has been out and about hitting the Oakland and San Francisco streets, making appearances at city events, festivals, school sites, parks, and Oakland City Hall. Our active presence in and around Oakland is expanding and we are ecstatic to finally be mobile and ready to make an appearance at a space near you! Being personally invited to Oakland’s biggest and most popular events, the ArtEsteem ArtMobile has been the center of attention. Fully equipped with a sound system, four mobile art tables and an impressive collection of art materials and tools, we have been able to provide an average of three different art activities at every event we’ve been booked for. Attending one of West Oakland’s First Fridays provided us with the opportunity to reaffirm our presence in the community by offering stencil-making services for our community members. Pictured to the left, our Executive Assistant, Eddie, provides some art pointers to some of West Oakland’s brightest and most creative youth.